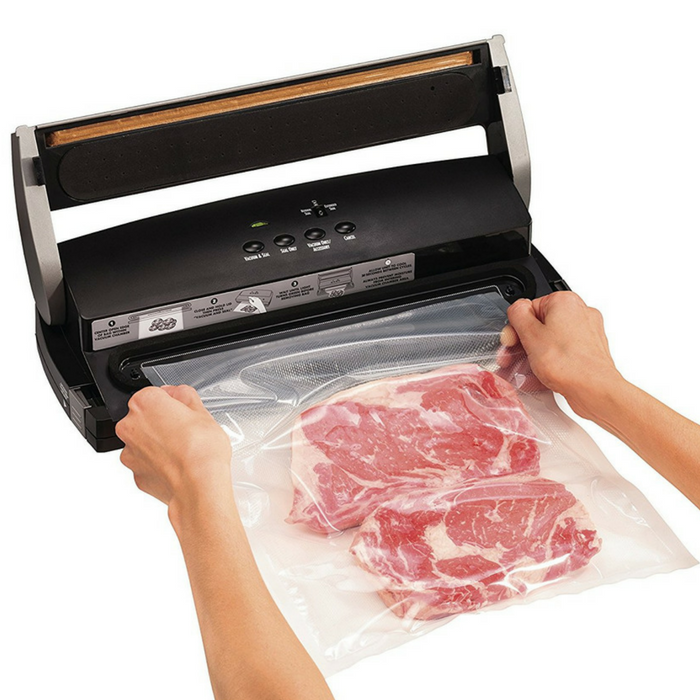 Hamilton Beach Vacuum Sealer Just $39.95! Down From $80! PLUS FREE Shipping! You are here: Home / Great Deals / Amazon Deals / Hamilton Beach Vacuum Sealer Just $39.95! Down From $80! PLUS FREE Shipping! Head over to Amazon to score the Hamilton Beach Vacuum Sealer for just $39.95 down from $79.99 PLUS FREE shipping! Preserving fresh foods, bulk buys and leftovers is easy with the Hamilton Beach NutriFresh Vacuum Sealer. Save money by purchsing in bulk then safely vacuum seal and freeze meats, cheeses, fruits and vegetables. Don’t let your garden harvest go to waste. Preserve your bounty and enjoy the fresh food year round. This easy to use vacuum sealer for food comes with two 11 in. x 20 ft. heat-seal rolls, 4 gallon-size and 6 quart-size heat-seal bags so you can get started right away. It has an easy bag alignment with extra wide vacuum chamber to lock air out and keep freshness in.